Saturday, 7:30 pm, Majestic Bus stand, Bangalore. Manoj was standing in queue for deluxe bus ticket. I was near enquiry, enquiring for other buses available, Amit went for a piss. There were other better buses available like Rajhamsa, Mayura, Airavat, Ultra plus etc but tickets were sold out. Only few tickets were available in Deluxe and Express buses we choose deluxe without seeing the bus. 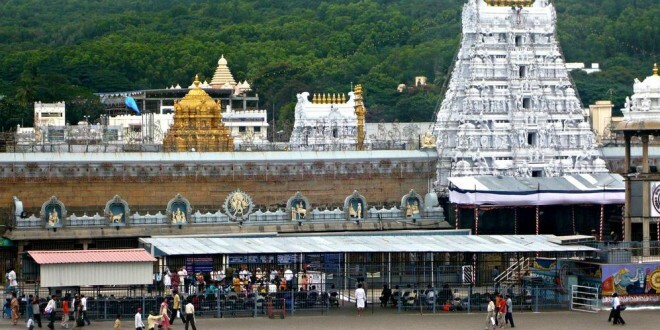 There is huge rush for Tirupati from all parts of India especially from south India. The rush is seen all season, through out year, week ends or week starts. 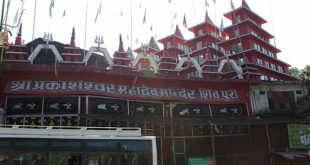 It is number one pilgrims in world in terms of number of devotees visiting per day. People from all parts of India come to get their desire fulfilled. They feel that lord Venkateshwara (as called in south) or Balaji (as called in north) fulfill everyone’s desire. Desires of every kind such as “Work, Win, Wealth, Wed, Womb, Wellness”, even [lean] Waist and Woman too, and sometimes not these Ws… and not even Balaji but the Brand Tirupati. I was going for one of Ws. I got my recently joined HAL job and was going for his blessing. I cannot say about my other friends, it might be any other Ws or the Brand. “How many tickets” a weary sound came from inside the counter. “Three”, Manoj answered. We had joined him while he took the ticket and paid the money. We come to look for our bus. “BK-7543, yes, this is our bus” Amit pulled us showing a white and blue stripped bus. It was normal 3 x 2 Patna-Muzaffarpur types Bus. As per seat no. marked on ticket, we sat on second last seat. We were tired, not because of roaming in bus stand but because of the hectic schedule of HAL training on Saturday also. At 9:00 bus driver came. He flawlessly shunts the red and blue wires hanging below the steering and pressed the accelerator paddle with his bare feet. With a dense blow of black smoke the 112 hp Cummins engine started cranking. Our whole body synchronized with the vibration of bus. We had slept as the bus left the city and took NH-4 highway. My sleep went off when I opened my eyes to see that the bus was going at 110 plus speed in a highway without a median barrier. “We are going for Darshan not for Moksha”, I murmured and close my eyes to avoid witnessing any collision. At 12 in night bus stopped nears a Dhaba for dinner. It was odd time but we were very hungry and eager to eat in dhaba. We filled our stomach till neck before the conductor called us. All passengers took seat as the bus started again. At 3:00 in morning we reached Tirupati. We were searching for main temple before our driver told that 1 hrs of journey was still left. He asked us to purchase darshan token there. “Counter open time 4:00 am”, Manoj read while standing in queue. After one hour we got the token with “Time 10:00 am” Punched on it. There are various token distribution centers in various parts of Karnataka, Andhra Pradesh and Tamilnadu. 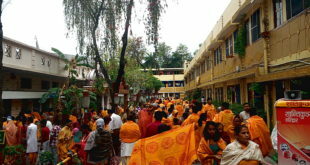 Tokens are distributed to manage huge crowd of devotees visiting every day in temple. Finger prints and photographs are taken by the officials before giving the token to ensure proper safety of people. We were climbing Tirumala hill, frequent sound of gears change was heard while our bus climbing onto the steep zig-zag road of the hill. It was 5:30 and we could see from the shuddering window glass, the lucid view of tiny houses scattered in between the green vegetation on the foothill of Tirumala. It was an awful ride on Tirumala. At 6:00 am we reached the divine place on top of Tirumala. We were 2800 ft up, nevertheless the place was sort of well organized small town, crowded with bare foot people some tonsured some not, many hotels, restaurants, dharamsalas, bathing places and lot many small shops. There were temples from where the fragrance of incense sticks and sound of bells were coming and making the sunrise more pleasant and soothing. We took one locker in nearby shop to keep our valuables including cameras and went for a bath. We took breakfast as somebody told it took hrs for darshan. We saw the main temple but did not know where to join the queue. After asking many people finally we got the queue we shown our token to the officials and get into the longest ever queue. People were chanting Balaji-Balaji, Govinda-Govinda, adults, kids, male, female all in one queue moving inch by inch turn by turn, ups and downs holding the rails by the side. After one hour officials matched of photos and finger prints and sent to one big hall with a capacity of 500 people. We sat there for 30 minute before it opened and then moved again to next big hall like this we crossed three big halls to finally join the main queue. We saw one row of people joined in between. “They have paid Rs 300 per token”, a fellow queue mate told me. Ours was of Rs 50 token, there were people who purchased free Token [token free of cost] were seen locked inside big halls which took longer time to open. But one thing was remarkable that all were meeting to one queue before entering the temple and there wasn’t any differences left inside temple. After 5 hrs of standing in circuitous queue we reached inside the temple. Sound of govina-govinda rose as we entered the main temple to see a glimpse of Lord Balaji. 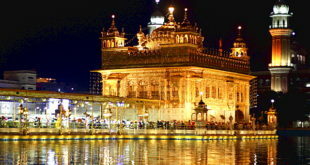 The temple shines with its gold sheet cover. 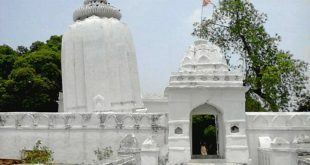 It is the richest temple in India. Crores of rupess are donated by devotees from business class or higher class people. We spend some 10 minutes inside the temple and then came out; we also ate lemon rice as Prasad. We showed our token to receive two Laddu per token. It’s a special Laddu made in pure ghee and considered very auspicious in south India. We roamed around to see other temple also before we returned to bus stop to enquire for Bangalore buses. We took ticket for Tirupati as many Bangalore buses were available from there. It was 8:30 pm in Tirupati we had our dinner before sitting in bus. We were extremely tired; we slept as soon as we sat on the KSRTC Express bus. Our eyes open at 12:30 in Bangalore city bus stand. Our place of stay was 23 km away in Hennur. We were enervated in mid night, no Auto-walas was agreeing for going. Suddenly one came near us and agreed for going, but at double the meter. “Hennur police station you know”, I asked the Auto-wala. “Ya Ya”, he answered. We sat inside the auto. After going for some 3 km we came to know that we were going in opposite direction. I asked him where he was going. He replied police station. “Police station ?? But you have to go Hennur Police station”, I shouted at him. “Where it is?” he asked. Our mind boggled to hear that. After that what happened with us was really horrible.